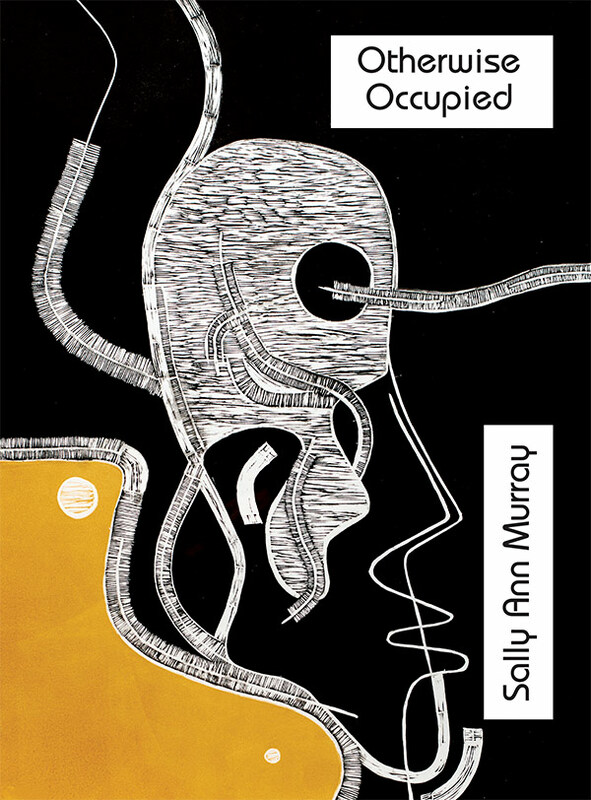 Dryad Press, in association with Exclusive Books, is proud to present this serious, often playful, sometimes outrageous volume of poetry by Sally Ann Murray, Chair of the English Department at Stellenbosch University. Murray draws inspiration from contemporary women’s experimental poetics, inflecting poetry’s familiar inner speech with the sounds and shapes of found materials and engaging cultural noise. In Otherwise Occupied, the poem becomes otherwise under innovative necessity and performative exploration. Join us to hear poet and critic Joan Hambidge in conversation with Sally Ann Murray on: Wednesday, 10 April 2019 at Exclusive Books, Cavendish, Claremont, Cape Town at 17.30. 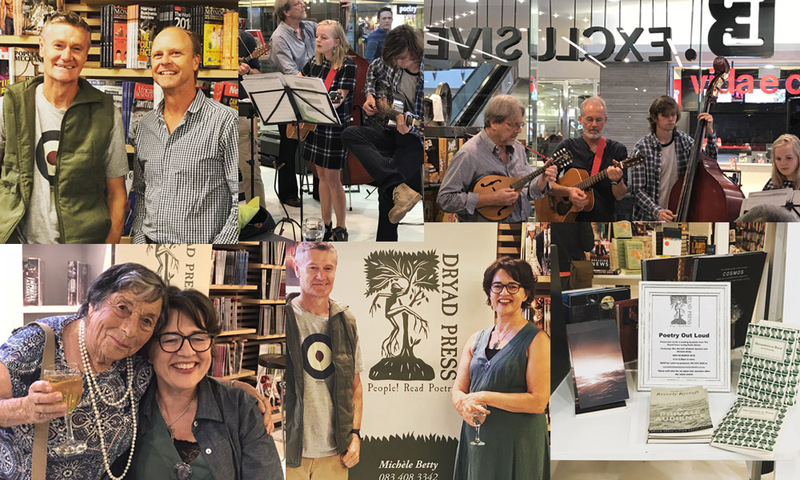 The acoustic band, GRAVEL ROAD, will be playing LIVE from 17:30 so join us for a glass of wine and a canapé before the interview and reading begins. Thank you to everyone who supported the launch of Sally Ann Murray’s, Otherwise Occupied. Thanks also to Exclusive Books for hosting such a successful evening. So great to see a packed bookstore! 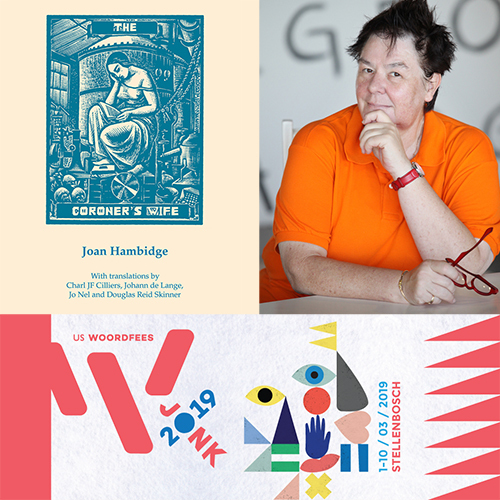 Dryad Press is excited to announce that Joan Hambidge will be at the University of Stellenbosch Woordfees, Tuesday, 5 March 2019 at 14:00. 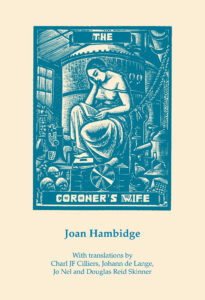 Joan Hambidge’s collection of translations, The Coroner’s Wife (Dryad Press, 2017), is a selection of poems in translation chosen from across Hambidge’s more than 25 poetry collections. The translations are by established poets such as Johann de Lange, Charl J.F. Cilliers, Jo Nel and Douglas Reid Skinner. Join Louise Viljoen in conversation with Joan the poet and Douglas Reid Skinner the translator, poet and editor, about the nuances and complexities of translation. Joan and Douglas will read excerpts from the The Coroner’s Wife, in Afrikaans and English respectively. The US Woordfees provides poets, authors and literature lovers alike with a unique opportunity to celebrate their craft. Seats will sell out fast, so book your tickets early online at www.woordfees.co.za to avoid disappointment. Thanks to Elmari Rautenbach and the organisers at the US Woordfees for such an enjoyable event. Dryad Press is pleased to confirm that it has made its selections for publication in 2019. Watch this space for an announcement regarding forthcoming publications in 2019! Dryad will also be accepting submissions for original collections of poetry from South African poets, or poets living in South Africa. Submissions will be open from 1 April to 30 April 2019. Manuscripts must be predominantly written in English or Afrikaans, or a combination of those languages. Every manuscript will be read, and all will be considered for publication. We ask for smaller collections of poetry of between 50-60 pages. Most books published by Dryad Press contain approximately 40 poems and we recommend that you submit manuscripts that do not substantially exceed this in length. We recommend that you obtain and read collections of poetry previously published by Dryad Press. Our collections are available online at www.dryadpress.co.za, at most Exclusive Books stores and at better bookstores nationwide. 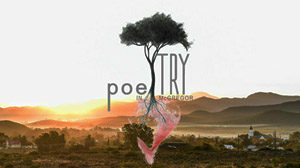 This will assist you in gaining an understanding of the type of poetry that we publish. Successful manuscripts will be published in the manner and format that Dryad Press deems appropriate. Manuscripts containing poems previously published in magazines, anthologies, journals, or online will be accepted, as long as each previously-published poem is acknowledged in the manuscript. Manuscripts that have already been published previously – including self-publishing – will not be accepted. We accept manuscripts from writers of any experience, whether they have published a collection of poetry before or not. We do, however, strongly recommend that you obtain the advice and assistance of a trusted colleague or friend (preferably experienced in the collation of literary collections) prior to submitting your work. Manuscripts that have been carefully compiled and thought out tend to stand out and have a better chance of success. 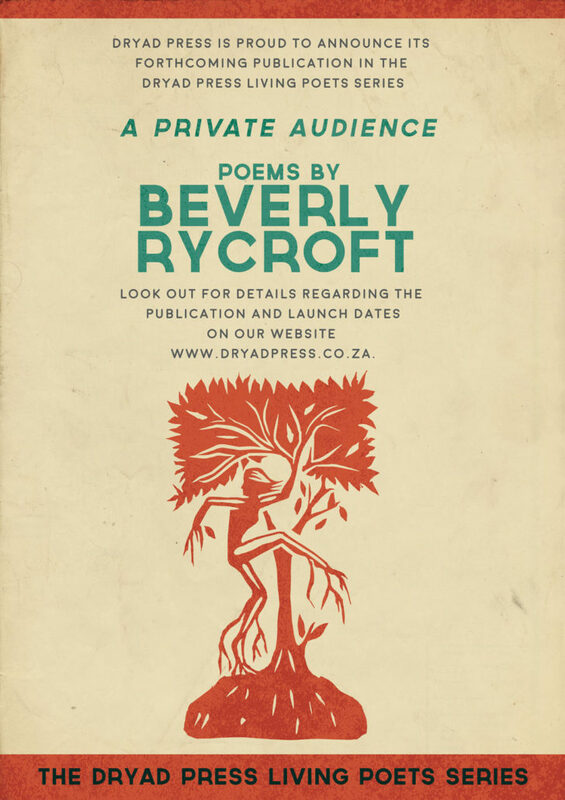 Dryad Press poets are coming to Johannesburg in November 2018! Dryad Press launches a new publication in October 2018. 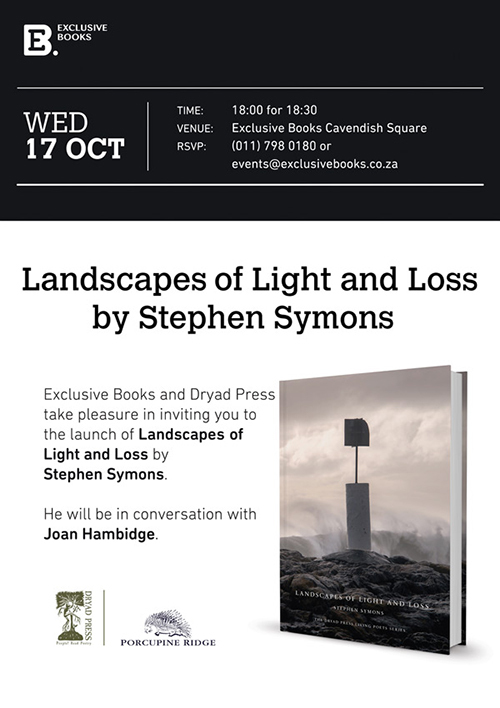 Dryad Press is delighted to be publishing Stephen Symons’s second collection, Landscapes of Light and Loss. Join us at Exclusive Books for the launch! Listen to a podcast of David Krut in conversation with Michèle Betty on the long collaboration between the two companies and on the complexities of being a poet, publisher and editor. 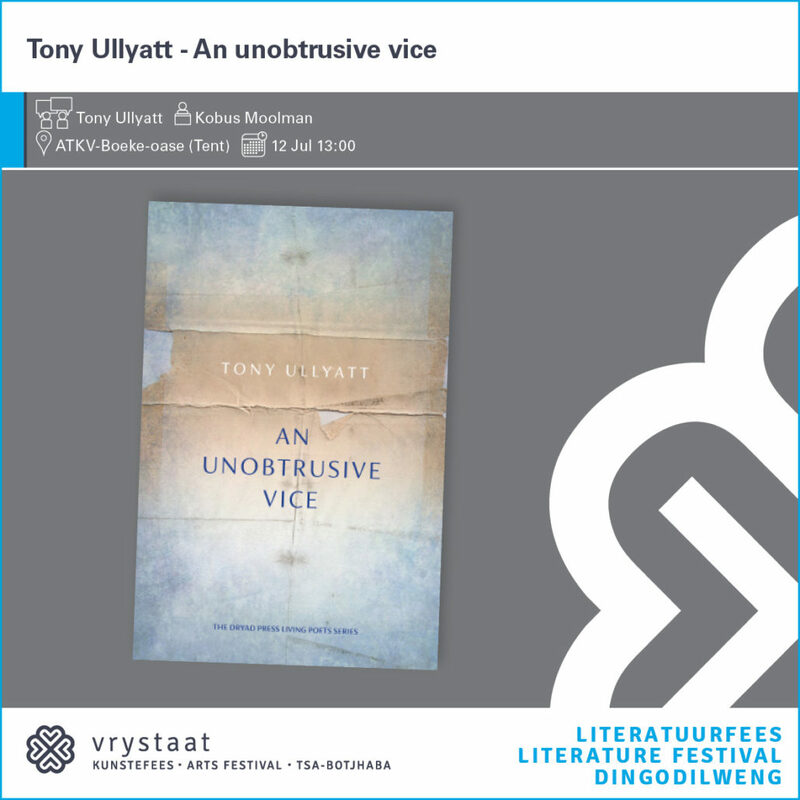 Come join us on Thursday, 12 July at 13:00 for the Bloemfontein launch of Tony Ullyatt’s debut poetry collection, An Unobtrusive Vice. Tony Ullyatt will be in conversation with renowned poet and writer Kobus Moolman. 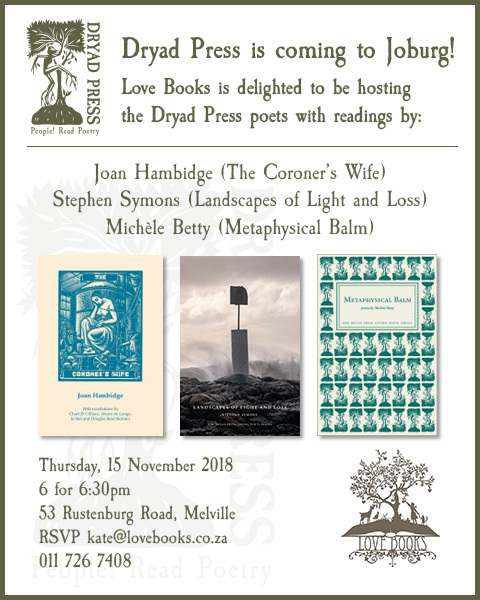 Dryad Press is excited to announce that poets from the Dryad Press Living Poets Series will be reading from their work at the Franschhoek Literary Festival. 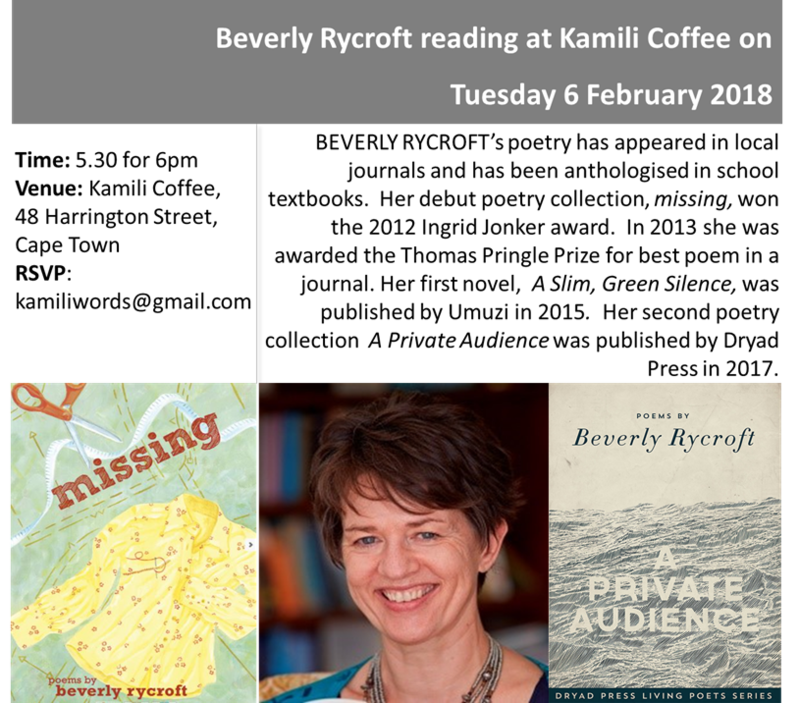 Join Tony Ullyatt and Michèle Betty at 14:00 on Saturday, 19 May 2018 for a reading and discussion titled, The Threshold Between and then stay to listen to Beverly Rycroft read with poets Karin Schimke and Kerry Hammerton, at their reading, They f*ck you up your Mum and Dad. 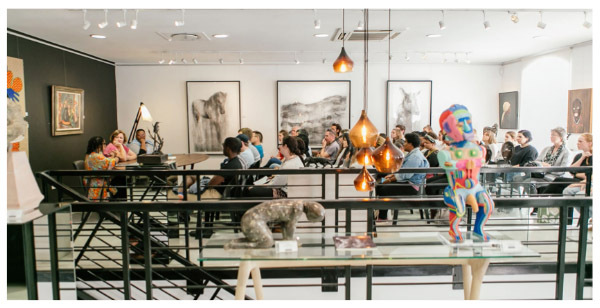 The Franschhoek Literary Festival provides poets, authors and literature lovers alike with a unique opportunity to celebrate their craft. As the venues are cosy, seats will sell out fast, so book your tickets early online at www.flf.co.za to avoid disappointment. Thanks to Exclusive Books for hosting such a successful reading. 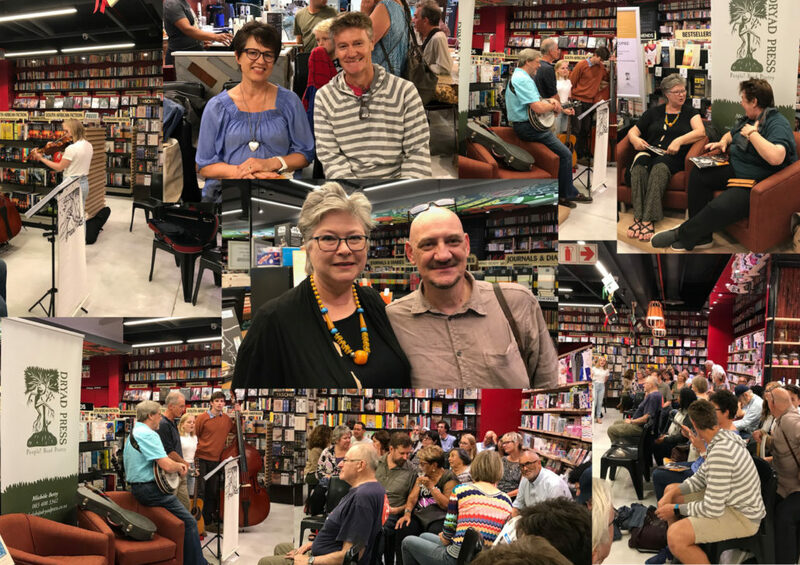 Thanks also to Nielen Prinsloo, Emma Rycroft and their band for providing such excellent music beforehand and to Stephen Symons, Michèle Betty and Beverly Rycroft whose readings were so engaging and to everyone who supported the event and were bold enough to read at the open mic session afterwards. 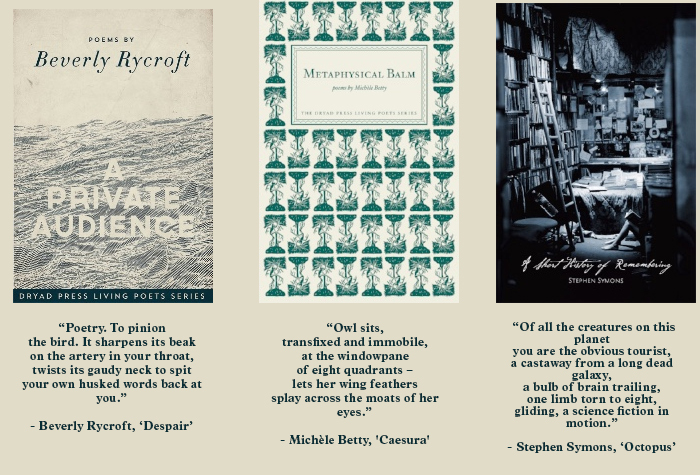 Watch this space for the next Dryad Press reading at Exclusive Books! 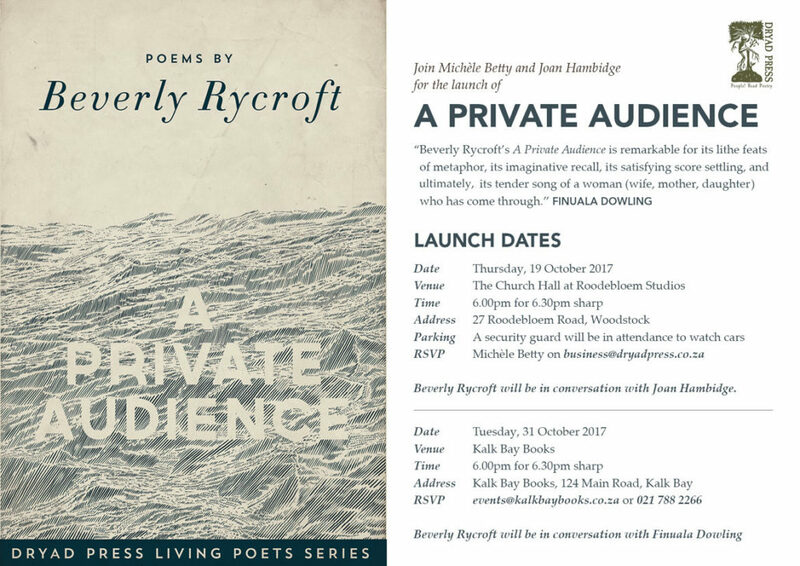 Join us at 18h00 for 18h30 on Wednesday, 28 March 2018 at Exclusive Books, Cavendish to hear poets Beverly Rycroft, Michèle Betty and Stephen Symons read from their collections both featured and forthcoming in the Dryad Press Living Poets Series. If you are a poet, come a little early to add your name to read at the OPEN MIC SESSION! Thank you to everyone who attended the launch of Tony Ullyatt’s An Unobtrusive Vice. 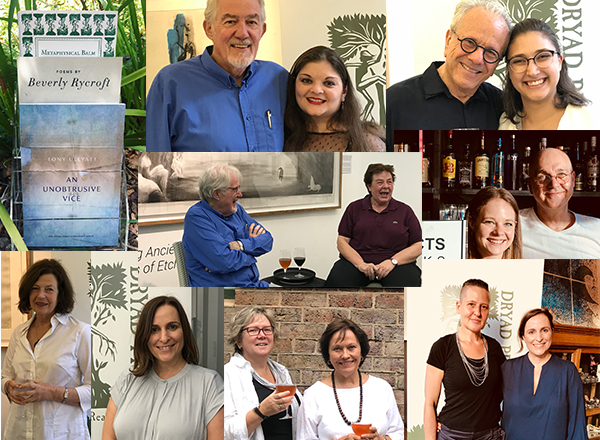 The illuminating interviews by Joan Hambidge and the insightful readings by Tony Ullyatt, contributed toward two special events. 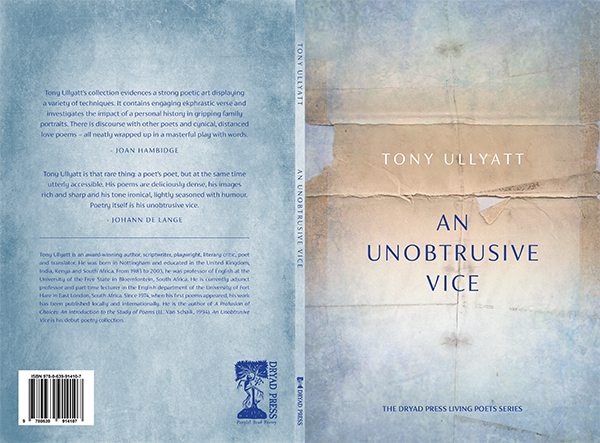 Dryad Press is delighted to announce the launch of Prof Tony Ullyatt’s debut collection, An Unobtrusive Vice on 20 & 21 February 2018. Tuesday, 20 February 2018 at David Krut Projects, Montebello Design Centre, 31 Newlands Avenue, Newlands, Cape Town at 18.00 for 18.30. RSVP to elize@davidkrut.com. Wednesday, 21 February 2018 at Haas Collective, 19 Buitenkant Street, Cape Town at 18h00 for 18h30. RSVP to francois@haascollective.com and emma@haascollective.com. 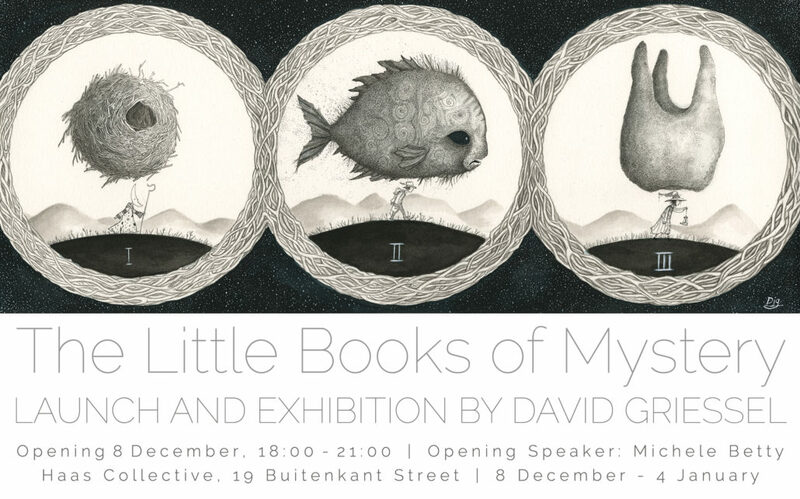 Michèle Betty will be the opening speaker at the launch of David Griessel’s new exhibition. Join us for an evening celebrating the complementary nature of art and literature. 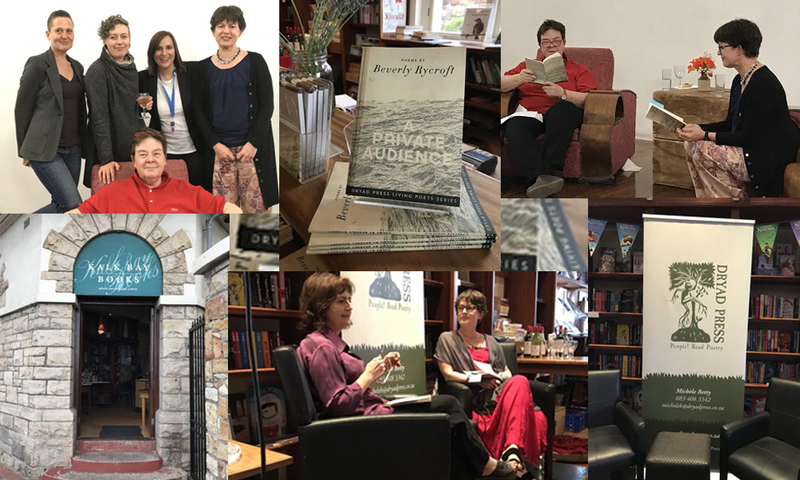 Thank you to everyone who attended the two launches for Beverly Rycroft’s collection, A Private Audience. The evenings were well attended (full!) and a great success and the interviews by Joan Hambidge and Finuala Dowling brought fascinating insights into the life and work of this masterful poet. The McGregor Poetry Festival is taking place from 24-27 August 2017. See their website http://mcgregorpoetryfestival.co.za/2017-programme/ for a detailed programme. Listen to Michèle Betty and Kobus Moolman read new poetry on 26 August 2017 and attend Michèle Betty’s workshop on 27 August 2017 on how to optimise your submissions to literary journals for acceptance. 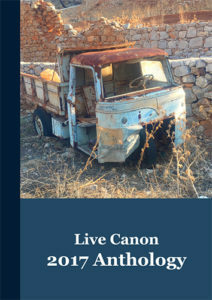 Live Canon International Poetry Competition: Michèle Betty’s poem, in the misperception of my life, has been long listed for the Live Canon International Poetry Prize 2017. Follow this link for the shortlist, which is to be announced on 18 August 2017: www.livecanon.co.uk/poetry-competition . Michèle’s poem will feature in the coming 2017 anthology, which will be available online on the Live Canon website. 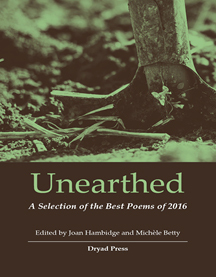 Dryad Press is pleased to announce the launch of Unearthed: A Selection of the Best Poems Published in 2016 on Thursday, 29 June 2017. The anthology is edited by Joan Hambidge and Michèle Betty. The following poets will be in conversation with Joan Hambidge and will read from their work: Stephen Symons, Juanita Louw, Sindiswa Busuku-Mathese and Helen Moffett. 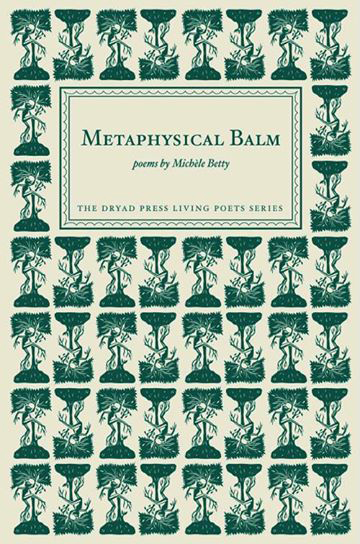 Metaphysical Balm was launched at David Krut Projects in Newlands on 23 March 2017. Here is the interview between the author and renowned poet, critic and writer Joan Hambidge, which was conducted at the launch. It provides many insights into the collection that the reader will find interesting and informative in the context of many of the sub texts contained in the collection.